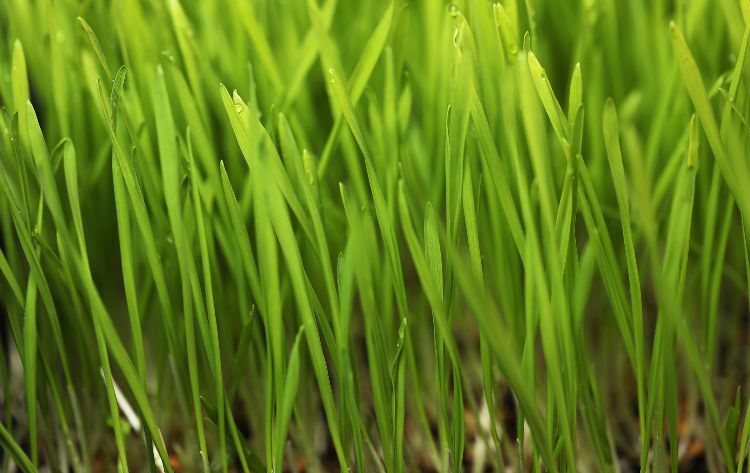 Over the last half decade, wheatgrass has increased in popularity due to its health benefits. It is know to be full of essential amino acids, fiber, vitamins, and beta carotene, making it a common ingredient in juicing and/or smoothies. 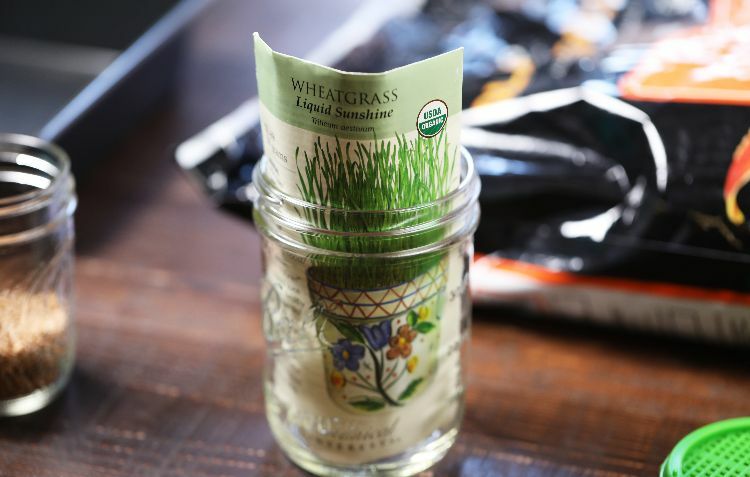 Growing wheatgrass is quite simple, making it easy to cultivate your own instead of buying it at the store. The first harvest has been shown to contain the most nutritional value too, an added benefit to making this a DIY project. 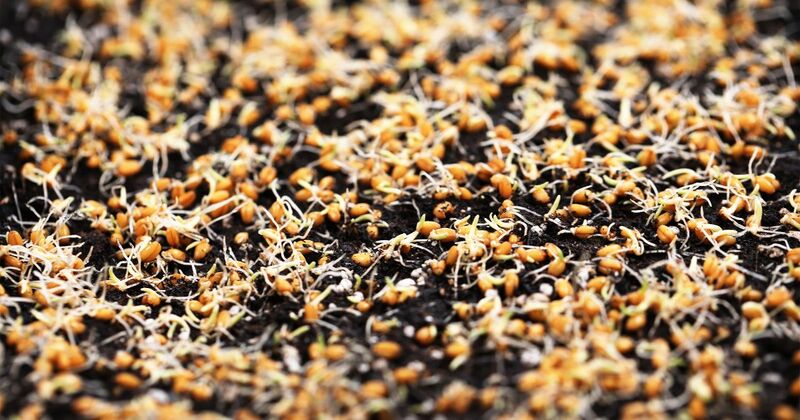 The following steps will help you achieve good seed germination. 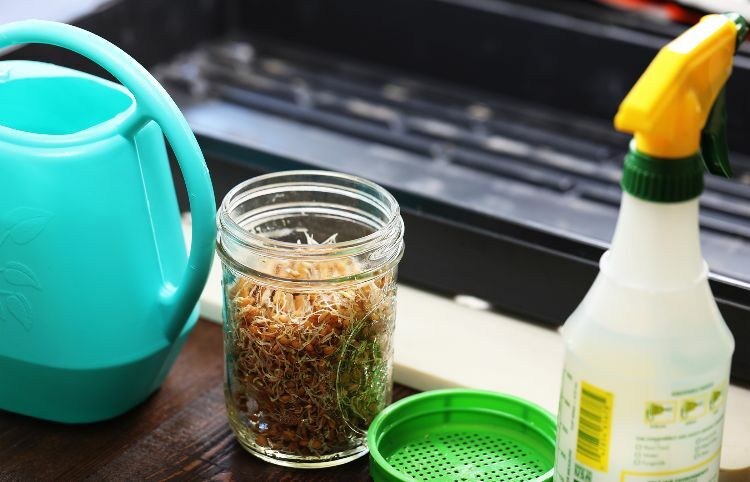 Open the seed packet, pouring seeds into a handheld strainer. Rinse with water to remove dust or any other debris. 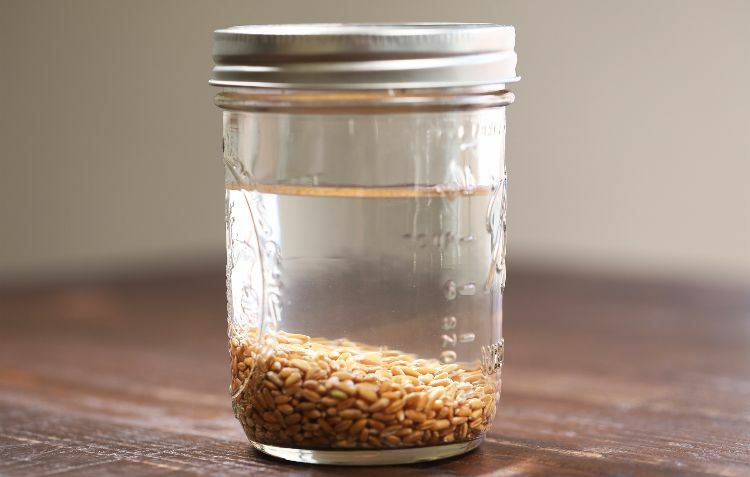 After rinsing, dump seeds into a clean jar (a half-pint, or 8oz jelly jar works best), fill jar about three quarters of the way full with clean water, and tighten the lid. 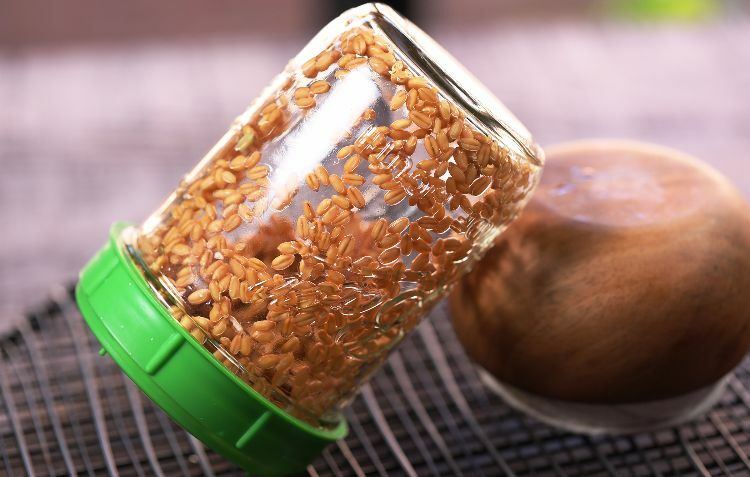 Turn the jar in your hands a couple of times to make sure seeds aren't clumped together. Let soak for 8 hours. After 8 hours, remove the screw-band lid and replace with a sprouting/strainer lid. Dump as much water as possible and tip upside down to dry out. Rest the bottom end (further from the lid) of the jar on something short to keep the jar at a 45 degree angle. This will allow the water to drain out yet keep the strainer holes from plugging full. Allow to drain until all standing water is gone, but do not let seeds dry out! Remove the strainer lid, filling the jar almost full with water. Screw the strainer lid back on and dump the water out. Repeat this process two more times, waiting 12 hours between each rinsing. Your seeds should be sprouted before moving to the next step. Fill planting trays with about 2" of potting soil, packing it down slightly to fill any gaps. Moisten with a spray bottle to dampen potting soil. Spread the germinated seeds evenly on the top of the potting soil. Push down slightly to ensure good contact with soil. Mist with the spray bottle and then water, making sure to not disrupt the seeds. Cover planting tray with the lid. For the next 7 days, remove the lid from the tray and water the wheatgrass twice a day. If you don't have a small watering can you can water through the sprouting/straining lid to disperse the water. 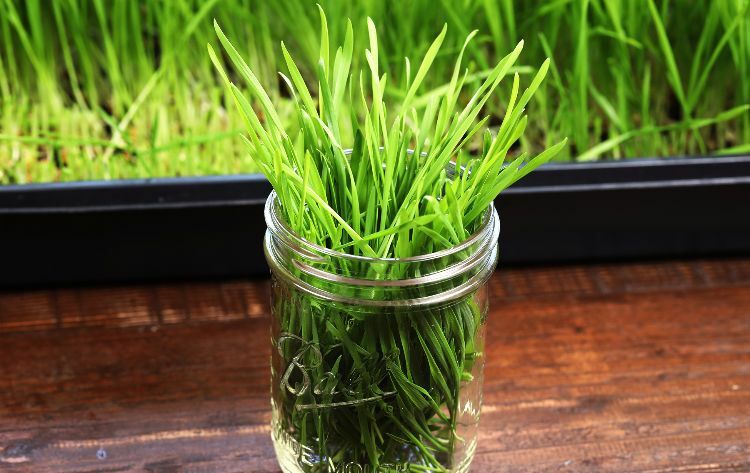 Using sharp scissors, cut off the top two-thirds of the plants and use for wheatgrass shots or any other way you wish! - Keep growing containers at a temperature between 60 and 75 degrees. - Overwatering will encourage disease and mold growth. Give plants enough water without having the soil sopping wet. - Air circulation will help prevent mold growth. Create a gentle breeze using a fan set away from the planting trays, plants shouldn't only feel slight air movement. 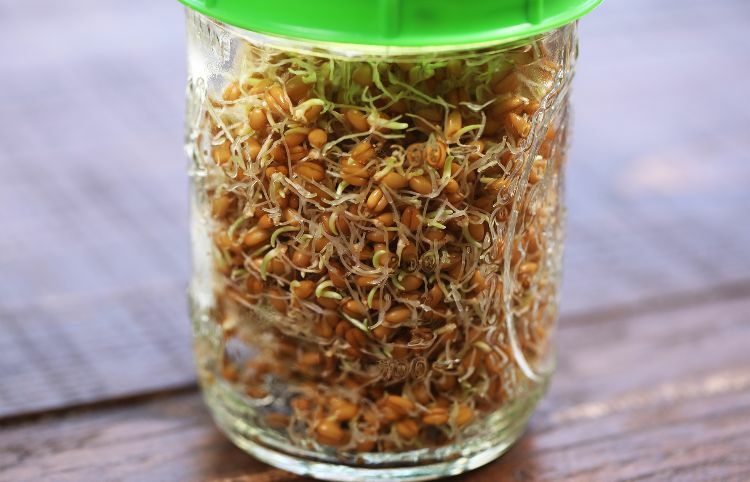 Growing wheatgrass is fairly simple, and can easily be done as a DIY project. With a small supply list and the easy to follow instructions above you can be well on your way to your first harvest! Share this article on Facebook to pass along the awesome tips!